Chat on Skype is virtually impossible, if the person can not hear you. 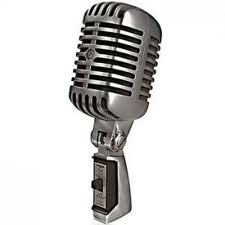 Therefore, the correct setting of the microphone - the most important step in the program use. This article tells how, how to set up a microphone and how to solve problems with the sound on Skype. Firstly, We need to make, the microphone is connected and physically incorporated. Then you need to check the settings in the operating system microphone. AT Windows 7 To do this, go to the menu Control Panel–Hardware and Sound–Sound–Manage audio devices. In the window that opens, select the Recording tab and check the microphone settings. The microphone must be turned on, the volume must be adjusted. In the Skype contacts you have Echo/Sound Test Server - a kind of answering machine, designed to verify the audio settings in the program. When the settings are finished, call Sound Test Server and follow the instructions. If you do not hear, you said answering machine, It means speakers are set incorrectly. If instead of your test message is played back only silence, It means configured incorrectly microphone. In this case, double-check the connection settings. If it seems, that everything is done correctly, and the sound is still there, try to find a solution to your problem on the site Skype.com in section FAQ. If the sound problems occur directly during a call, press the quality of communication data. Perhaps the sound quality suffers due to the low speed of Internet connection you or your buddy. In this case, you can change the tariff plan at a faster, or call your service provider to resolve the problem.